It’s time to pass the popcorn again! But first, a confession: when I was in the second grade and couldn’t even be entirely sure what it meant, I wrote “movie critic” on one of those “What do you want to be when you grow up?” worksheets at school. Well, I’m not exactly a critic, nor am I here to analyze every aspect of these films or claim that they are all life-changing works of art. But I am delighted to share some of my must-sees from last year and hope you’ll enjoy some recommendations for your next movie night. 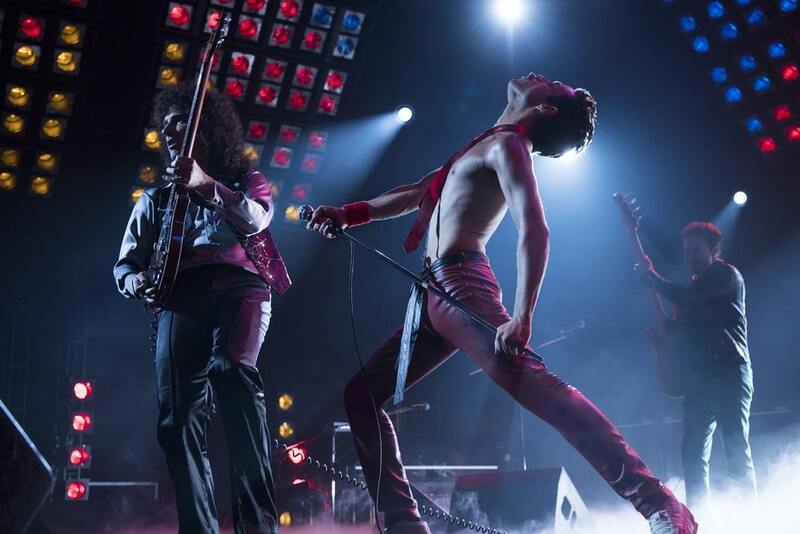 With awards season upon us and so many fantastic flicks to delve into from 2018, let’s not waste another minute as we look back at ten of my personal faves! 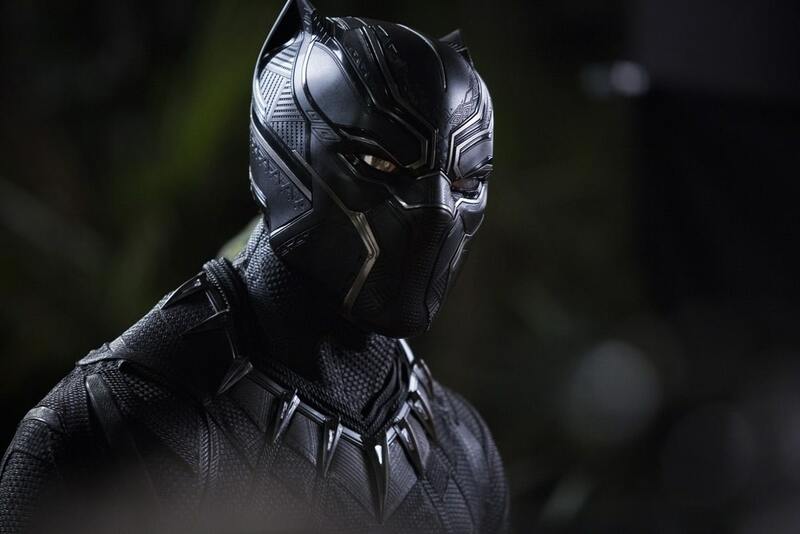 Marvel debuted its much-anticipated Black Panther in February of last year, marking the eighteenth official big-screen installment of its Marvel Cinematic Universe. 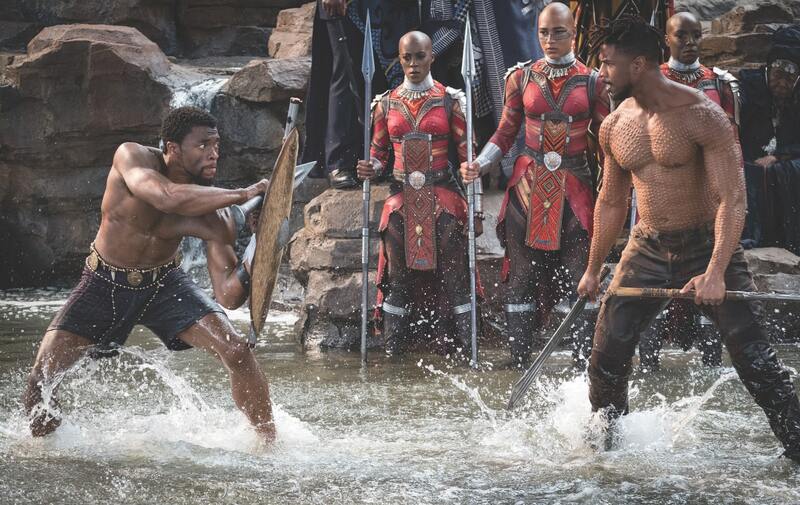 With an all-star cast featuring Chadwick Boseman returning as T’Challa/Black Panther and Michael B. Jordan as his rival for the crown of Wakanda, Erik Killmonger—plus Forest Whitaker, Angela Bassett, Lupita Nyong’o, Danai Gurira, and Martin Freeman—it’s no wonder this superhero flick more than lived up to its hype. 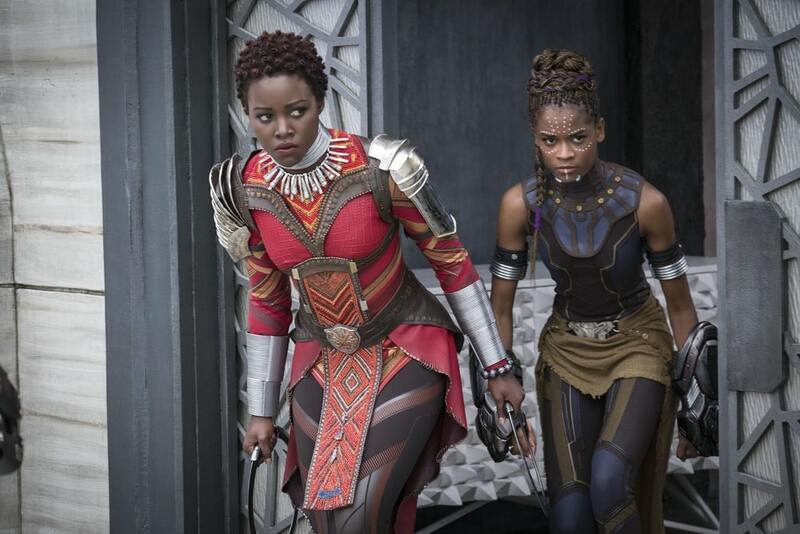 Newcomer Letitia Wright stole the show and became fan favorite as T’Challa’s younger sister, Princess Shuri the tech wiz (seriously, she could give Tony Stark and Bruce Banner lessons in science). 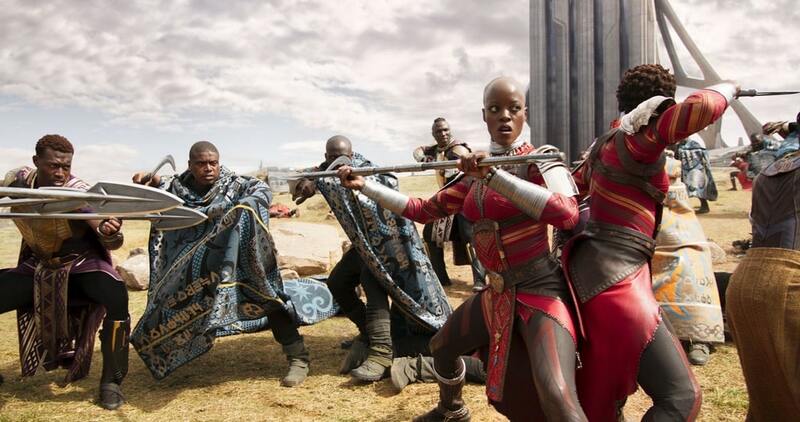 While its story is not exactly original, Black Panther is a must-see for its superb casting, nonstop action, killer sound track (produced by Kendrick Lamar), and historical significance when it comes to black representation in film, especially in the superhero genre. 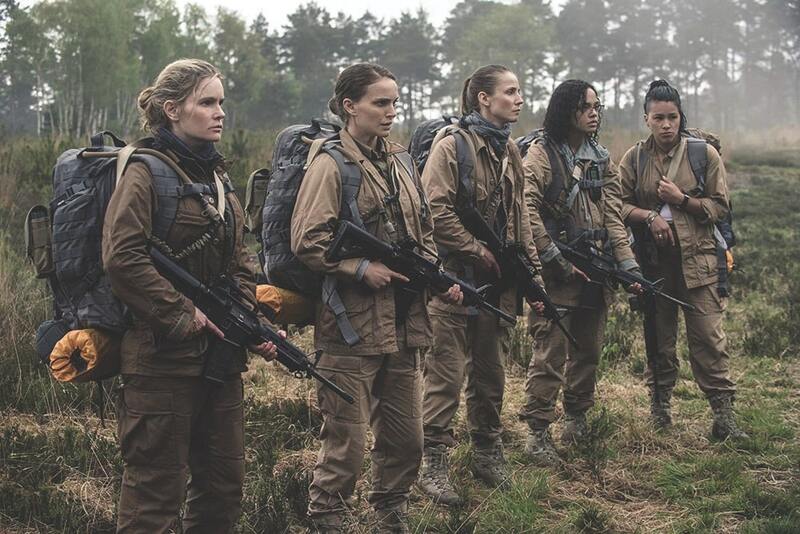 Also in February came the latest from director Alex Garland (28 Days Later, Ex Machina) with sci-fi thriller Annihilation, starring Natalie Portman alongside fellow female powerhouses Jennifer Jason Leigh, Tessa Thompson, Gina Rodriguez, and Tuva Novotny. 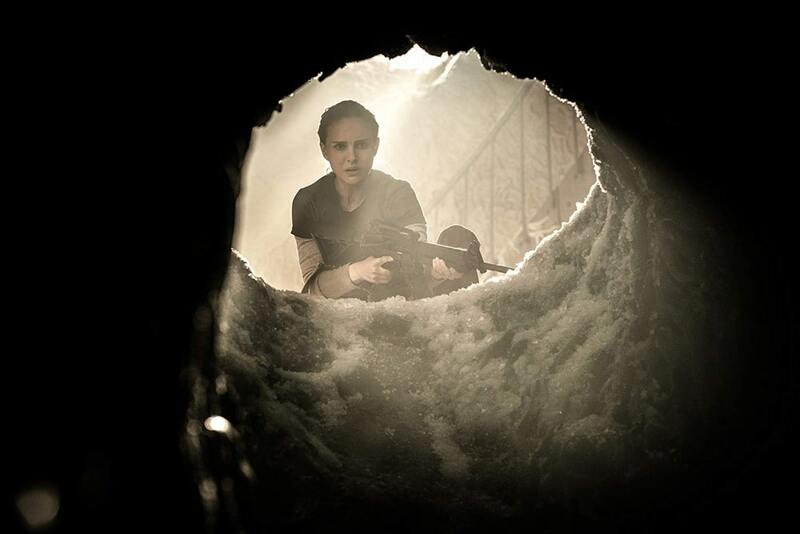 When a mysterious barrier called the “shimmer” forms after a meteor strike along an undisclosed coastal region of the US, cellular-biology professor and former soldier Lena (Portman) and her fellow badass women must enter the shimmer to find out what happened to the last group of soldiers who disappeared inside—including Lena’s husband, Kane (Oscar Isaac). What they find is a phantasmic world full of genetically mutated creatures, but presumably devoid of human life. As the group delves deeper into “Area X,” they must also delve into their fears and existential insecurities, and nothing is what it seems. 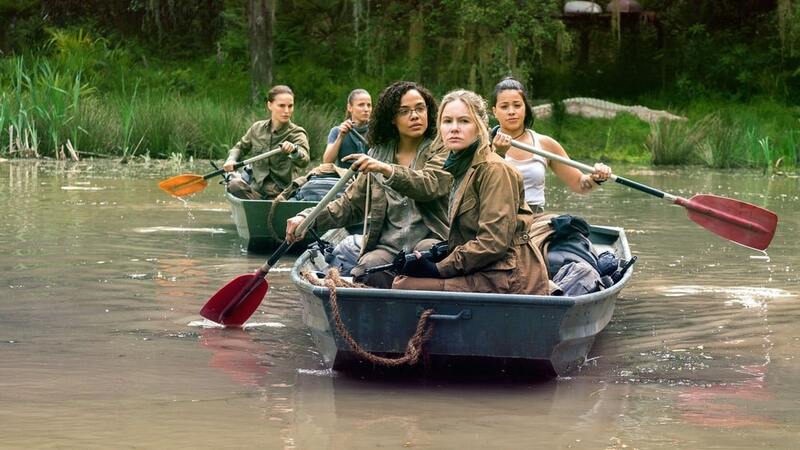 Based on the first novel of the Southern Reach trilogy by Jeff VanderMeer, Annihilation is a visually compelling blend of action, sci-fi, and psychological thriller. Speaking of thrills, it’s best not to speak at all during this one. 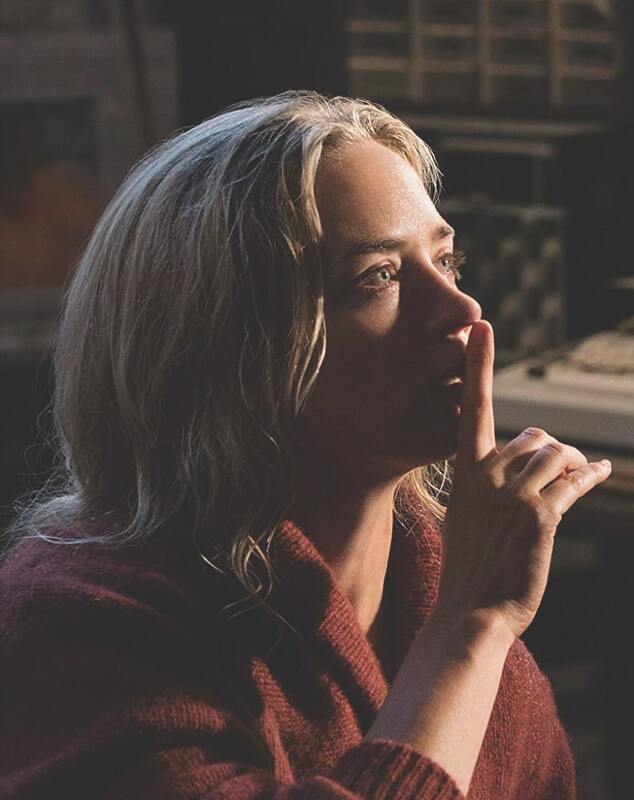 A Quiet Place stunned audiences with its nearly silent take on the postapocalyptic horror genre, in which a race of creatures with supersensitive hearing and a lot of teeth have wiped out most of humanity. Written by, directed by, and starring John Krasinski (The Office), the film made waves for its use of silent thrills and American sign language as the Abbott family (including Krasinski’s real-life spouse, Emily Blunt, as his wife) try to survive in their new and terrifying reality. The film explores grief and family ties all while keeping audiences on the edge of their seats. (Pro tip: To avoid feeling extremely uncomfortable while watching, it’s best to open all your snacks and take care of any other noisy tasks before the film begins.) 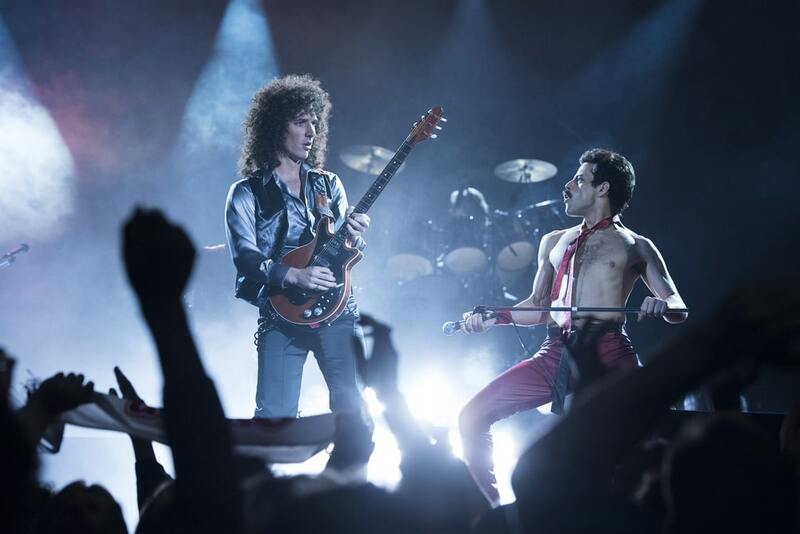 The film has been nominated for multiple awards and earned a spot in the top ten films of the year at the American Film Institute Awards in January. As summer blockbusters go, the long-anticipated Incredibles 2 is my number one for 2018. The first film in the Disney-Pixar franchise debuted in 2004, and fans have been awaiting the return of the incredible Parr family ever since! The film picks up directly where its predecessor left off, as the Incredibles battle the evil Underminer and then battle a whole host of problems. Balancing family and superhero work is not easy, folks! The genius artwork and midcentury setting are a feast for the eyes, while the jazzy sound track even includes new superhero theme songs for Mr. Incredible, Elastigirl, and Frozone. The return of characters like Edna Mode, along with a host of new heroes and some mysterious technological terrors, makes this an irresistible family film. Here’s hoping we don’t have to wait another fourteen years for Incredibles 3! 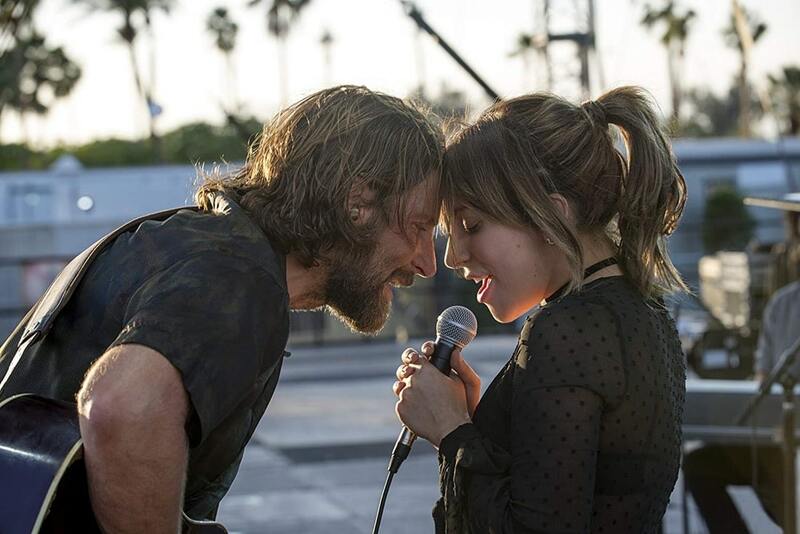 If you’ve got eyes or ears, you’ve most likely already learned about the breakout film of 2018, A Star Is Born, starring Lady Gaga and Bradley Cooper (who also directed). 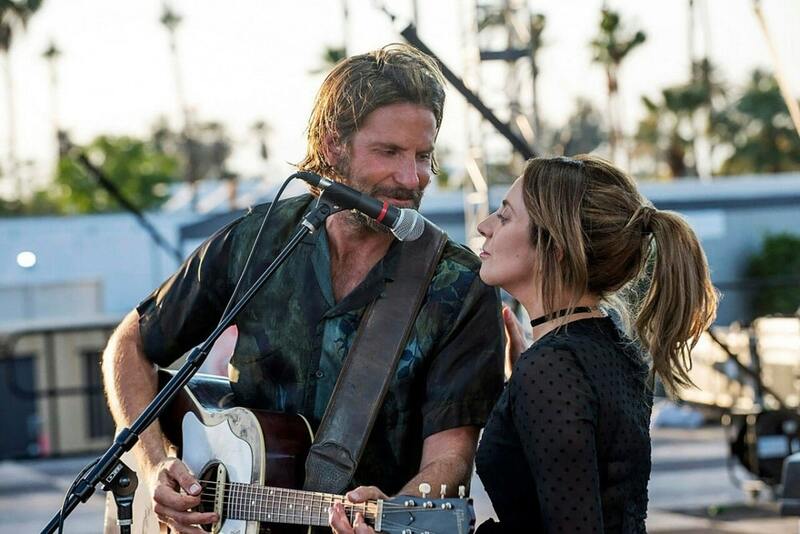 The film’s original hit song, “Shallow,” made its way across popular radio shortly after the movie’s debut in October—ending the year at number thirty-eight on Billboard’s top tracks—and has already won a Golden Globe. 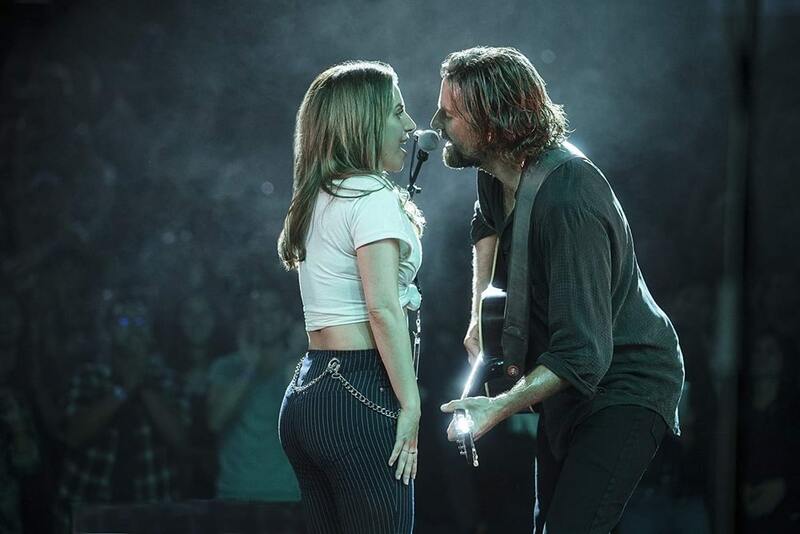 This fourth adaptation of the 1937 film of the same name follows the discovery of singer-songwriter Ally (Gaga) by rock star Jackson Maine (Cooper) and their subsequent personal and professional relationship. Sam Elliott moves audiences as Maine’s brother/manager, while the sound track is a force to be reckoned with in itself. 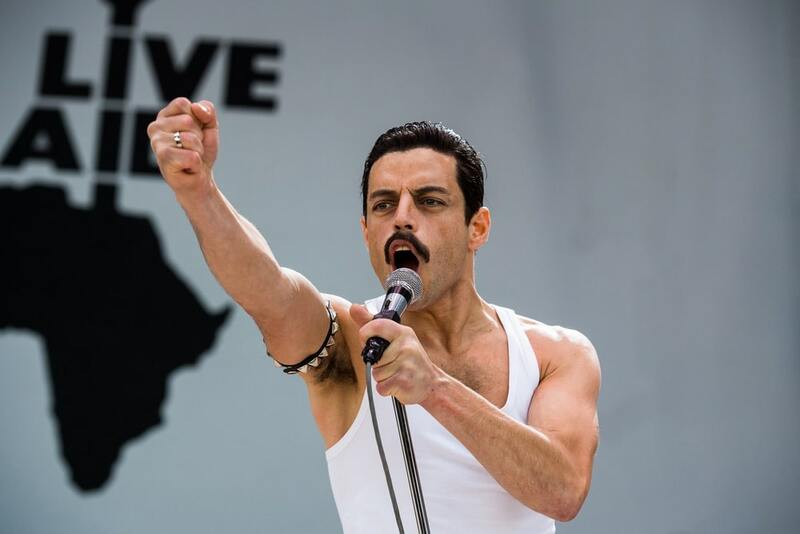 The film has eight Oscar nominations, including Best Picture, and is expected to take home plenty more accolades as the season goes on. Come in, Houston. A new space odyssey has arrived on the scene. 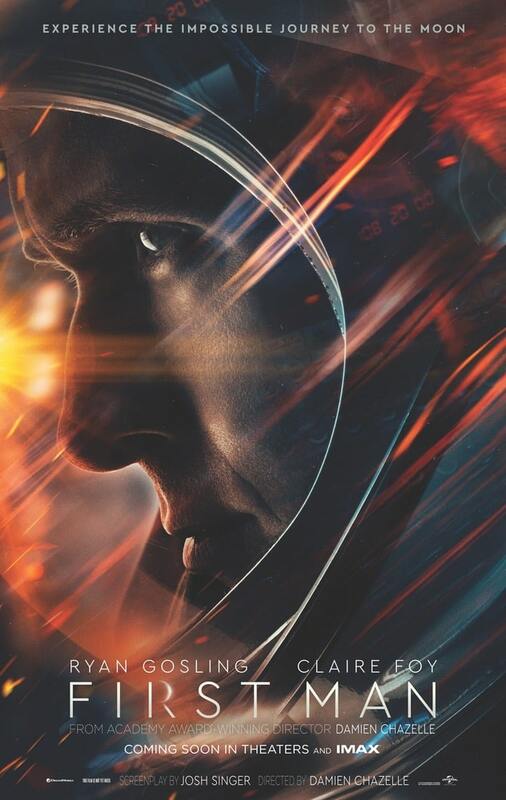 First Man, based on the biography of Neil Armstrong by James R. Hansen and directed by Damien Chazelle, recounts the true events of the US mission to land astronauts on the moon in 1969. 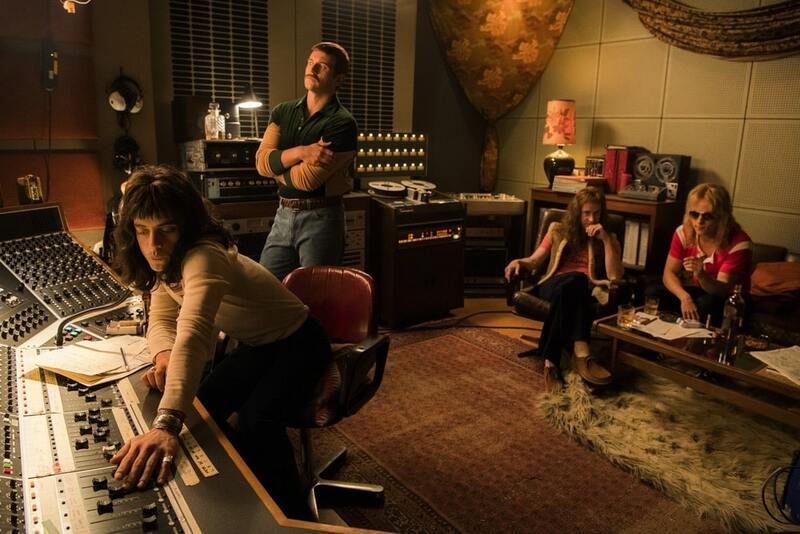 Ryan Gosling flexes his serious acting chops as Armstrong, while Claire Foy, Jason Clarke, Kyle Chandler, Corey Stoll, Ciarán Hinds, Christopher Abbott, Patrick Fugit, and Lukas Haas join a stellar (pun intended) cast as Armstrong’s family and colleagues. 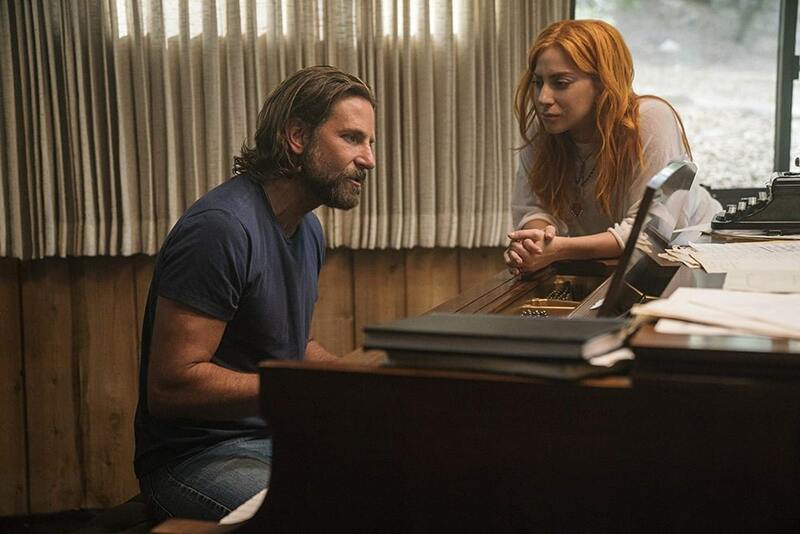 A visual stunner, the film has four Oscar noms and has won awards for editing (Tom Cross), cinematography (Linus Sandgren), and score (Justin Hurwitz) in other competitions. 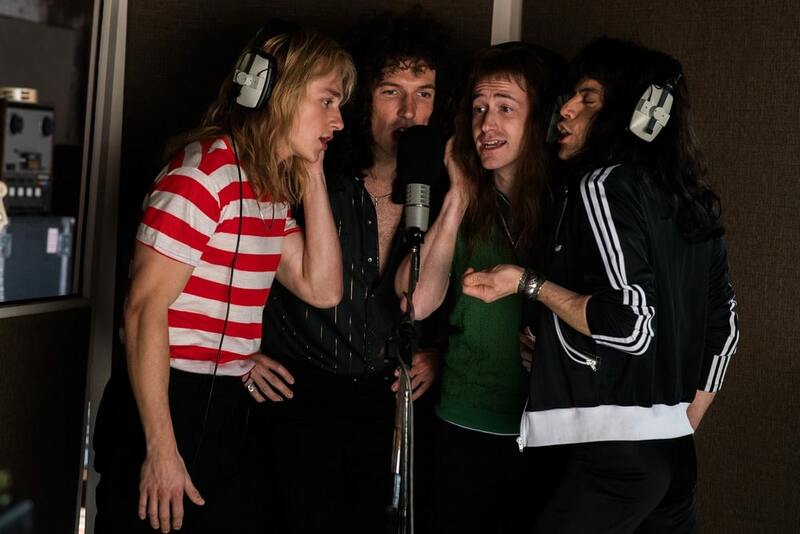 Fresh from its Golden Globes Best Motion Picture – Drama win, Bohemian Rhapsody is poised to take home Academy Awards as well with five nominations. 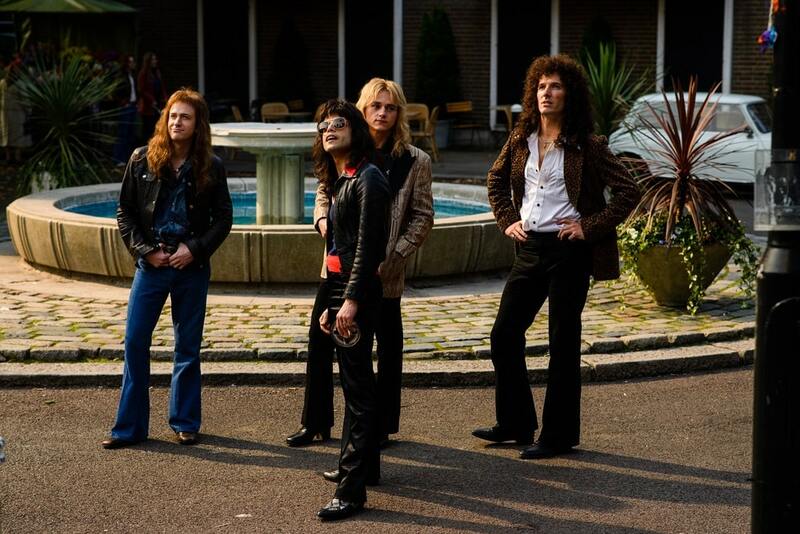 The Queen biopic has been praised for its portrayal of the legendary classic rock band’s rise to fame, creative process, and behind-the-scenes camaraderie. 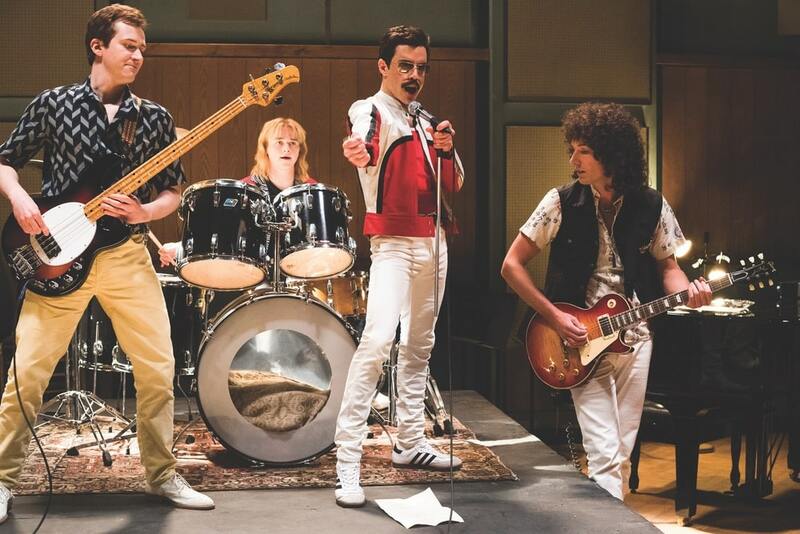 With Rami Malek leading the charge as front man Freddie Mercury, Gwilym Lee as guitarist Brian May, Ben Hardy as drummer Roger Taylor, and Joseph Mazzello as bass guitarist John Deacon, the actors’ portrayals of their real-life counterparts are uncanny. Malek took home the Golden Globe for Best Actor – Motion Picture – Drama. 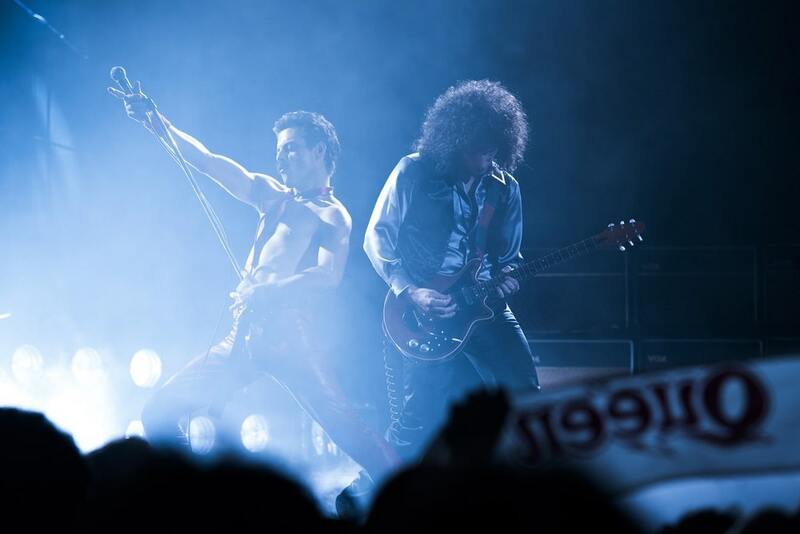 The film culminates with Queen’s famous performance during the Live Aid world telethon event at Wembley Stadium in 1985. 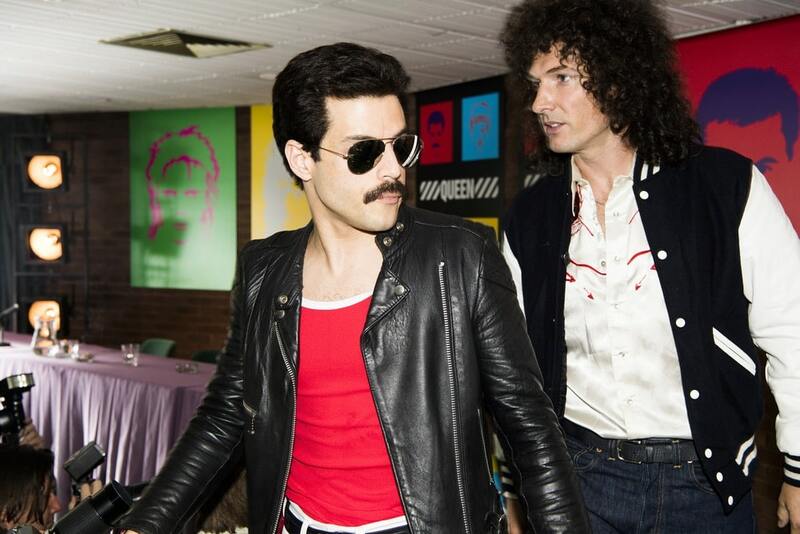 The drama is just as scintillating as the sound track; Queen fans and movie fans alike should give this one a watch ASAP. I would argue that there hasn’t been a true Christmas classic released since Will Ferrell donned his Elf outfit in 2003, so we were long overdue for a new holiday flick to join the ranks of A Christmas Story, Home Alone, The Santa Clause, The Polar Express, and—ahem—Die Hard. It was Netflix to the rescue with its original film The Christmas Chronicles, released in November of last year. The film has all the necessary genre tropes: a family struggling to keep it together through the holidays, siblings determined to catch Santa Claus on video, high-energy flights in a reindeer-drawn sleigh, a trip to the North Pole, and learning the true meaning of Christmas spirit. Kurt Russell was an unconventional pick for the jolly man in red, but just as Tim Allen did, he brings new energy to the character that you can’t help but enjoy—especially as he takes on a rock star persona with his own musical number for no apparent reason. Make sure you watch to the end for a delightful cameo! 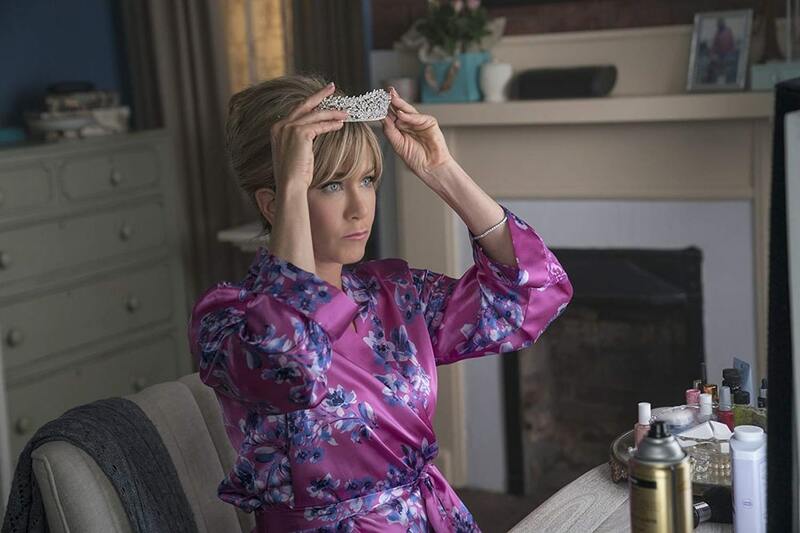 Another Netflix original movie, Dumplin’ debuted in early December and is now streaming to bring joy and music to misunderstood teens everywhere. When plus-size Willowdean Dixon (Danielle Macdonald) decides to break convention and enter the small-town Miss Teen Bluebonnet pageant that her mother (Jennifer Aniston) runs each year, drama inevitably ensues. 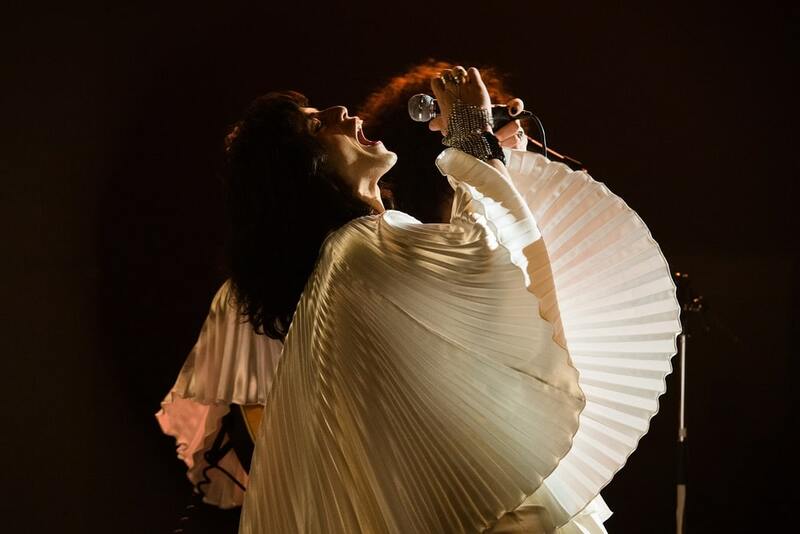 But through support from a band of friends and fellow misanthropes, a few sequins, and a whole lot of Dolly Parton music, Willowdean learns a thing or two about self-love, beauty, and family. Dolly’s hits keep the sound track bopping through this adorable drama’s ups and downs, and it’s perfect for a mother-daughter date night (or any night)! Yes, you might be asking, “Another Spider-Man movie? Really?” But hear me out, because this one is so very different from all your Tobey Maguire, Andrew Garfield, and Tom Holland feature films. Into the Spider-Verse, Sony Pictures’ animated superhero masterpiece that came out just before Christmas 2018, is like watching a comic book come to life on screen. Yes, it is an origin story, but not the one you might expect. Miles Morales is an Afro-Latino teen living in Brooklyn. Gifted in science but longing to pursue art, Miles is a kid caught up in trying to figure out who he wants to be—and that’s before he gains the powers of Spider-Man. 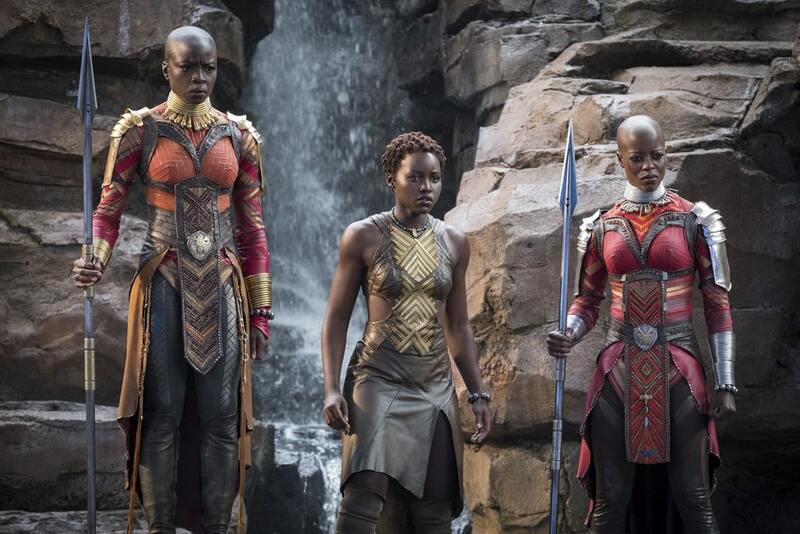 The film introduces concepts that have long been a staple in Marvel comics, like the multiverse, and Miles meets spider-people from various corners of this interdimensional universe written by Phil Lord and Rodney Rothman. (For example, you might have met Gwen Stacy before, but did you know that in another dimension she’s the amazing Spider-Gwen? Or that Spider-Pig is not just a joke from The Simpsons Movie anymore?) Chock-full of humor, action, and superhero life lessons, Into the Spider-Verse took home the Golden Globe and Critics’ Choice Award for best animated feature and is nominated for an Academy Award. 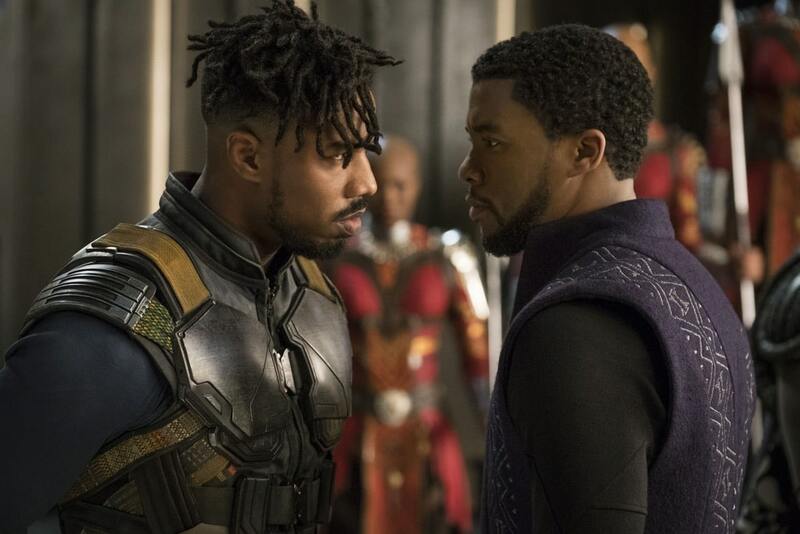 Sure, this list might not include the most acclaimed or history-altering films of 2018, but it’s just one editor’s picks. 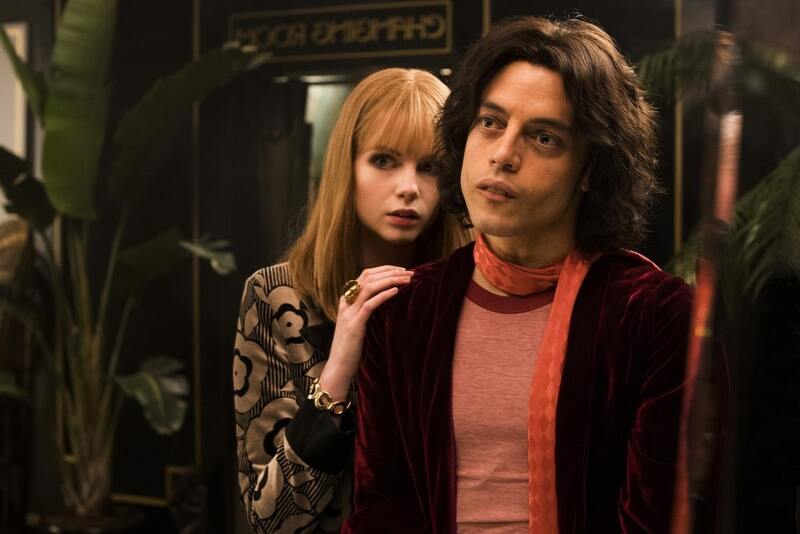 We live in an age where great movies and TV series are released on a weekly basis, whether at the theater or online; it’s impossible to see or compare them all, so I welcome your suggestions for your own top ten. Let us know on social media (@viemagazine), and send us your Oscars predictions!